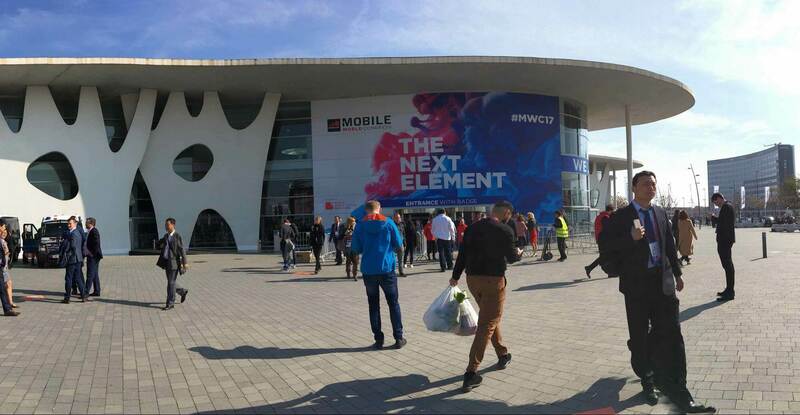 With Mobile World Congress now wrapped up in Barcelona, I have a moment to catch my breath and reflect on insights from the conference where over a hundred thousand attendees spent a week immersed in the mobile world. Here are some of the hallmark trends that are essential to creating successful digital products and services. Raja Rajamannar, the CMO of MasterCard, told his audience about how MasterCard approaches marketing in an era in which customers are fatigued with advertising. ‘Today over 615 million people use ad-blockers on their mobile devices, which means that they must opt in to communications from brands,’ he said. Rather than selling them things, MasterCard enables experiences through the nine passion categories they identified as important to their global customers. Based around research on aspects of a universalized human experience, they connect around travel, film, philanthropy, music, food, sustainability, sports and theatre. Through their Priceless program, they go one step further to curate once in a lifetime experiences. MasterCard’s thinking outside of the box enables them to meaningfully connect to their customers and build more loyalty by overcoming barriers. To build trust with customers, brands and media corporations alike need to think about the context in which their audiences receive information. 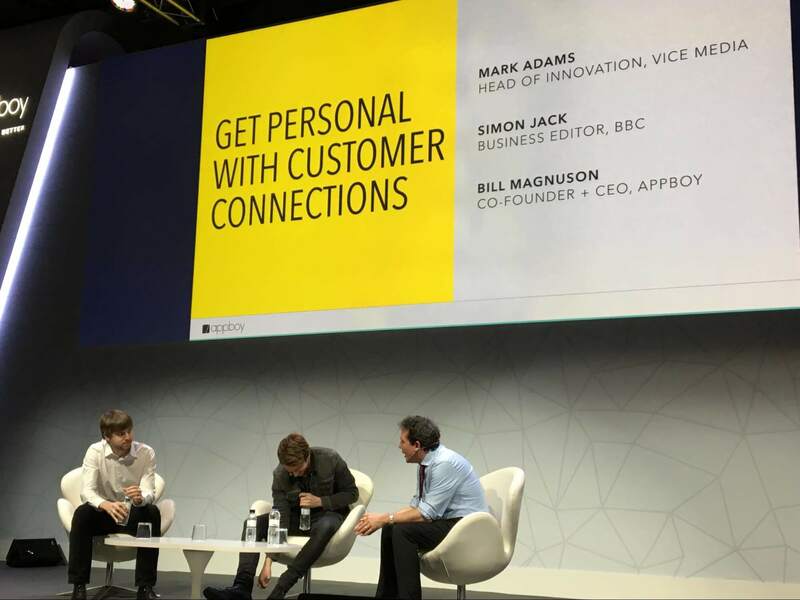 In a panel with the Head of Innovation for VICE Media, Mark Adams, BBC’s Business Editor, Simon Jack and CEO and cofounder of Appboy, Bill Magnuson, MWC attendees heard about technology’s role in humanizing connections. Customer expectations have shifted to messaging, alerts, wearables, mobile videos and personalized content. We’re in an era that is oppositional to the mass media’s linear newscasts, and instead business is all about narrowcasting. Everywhere we look content is tailored to individual’s interests. Consumers tend to get stuck in their own echo chambers, where there is ‘preaching to the converted’ and confirmation bias. Yet, there is risk inherent in over-sharing and consuming content through a mobile device. With an increasing amount of information about consumers, corporations must tread carefully to ensure not to upset customers through a poor user experience. Brands have to respect when people give them mindshare and not violate their trust by misusing it. With mobile apps, customers can uninstall it or turn off notifications. Today, marketing must acknowledge customers’ feelings and personal experiences along with the facts. They need to find common ground, personal connection, dialogue, and the formation of a tribe and a feeling of belonging. However, demographics alone can’t be relied upon to decipher preferences. Appboy’s CEO, Bill Magnuson, suggested that looking at behaviours and adapting brand engagements based on listening and observing, pays off. Customers’ preferences will be revealed so that enterprises can better communicate across all touchpoints. Today, said Bill Magnuson, ‘Millennial’ is a mind-set. It’s about being a savvy consumer of information. Demographics are becoming meaningless. ‘In a post-truth time, the most scarce and powerful business elixir is trust,’ said Mark Adams of VICE. Adams says they think first about the human connection, and then the best medium to deliver value. On the internet, everything lives on and is easier to re-play. ‘Video is powerful because it gets you into the emotional state and it builds empathy’ he said. By creating an amazing work environment that has a diverse workforce, enterprises can beat the competition. 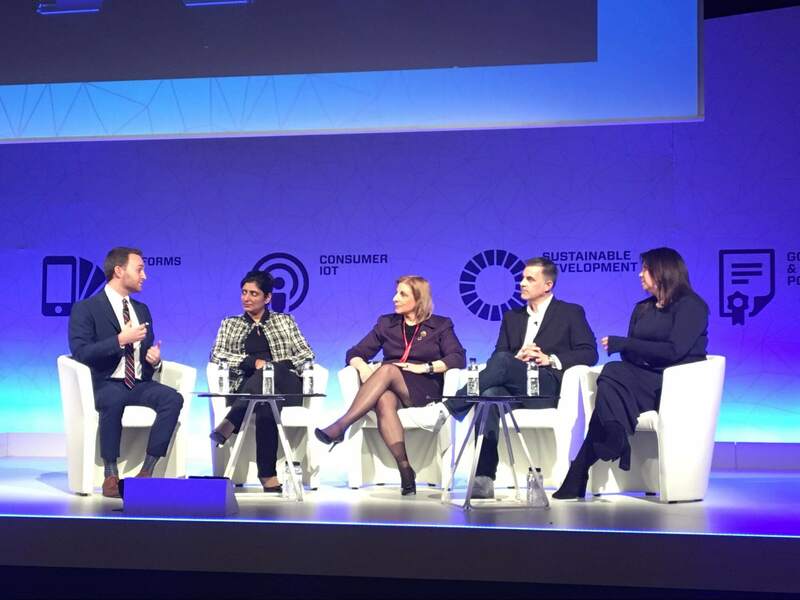 In a series of panel discussions which featured Mary Clark (CMO of Syniverse), Samuel Burke (Correspondent at CNN Money), Harmeen Mehta (CIO at Bharti Airtel), Laureen Cook (Principal TMT Advisor at IFC, World Bank), David Krupp (CEO, North America at Kinetic Worldwide), and Lauren Hurvitz (Chief Communications & Marketing Officer at Turner), gender diversity was the topic. Gender diversity within organizations can arguably transform how we develop products and build valuable customer relationships. Diverse teams can make better decisions and mirror the societies they build for, service, and communicate with. There’s no doubt that women working in male-dominated enterprises face challenges. According to the Anita Borg Institute, women held 21.7% of technical roles in 2016, an increase of 0.9 % from the previous year's average. But more actionable progress is still required. Enterprises need more systems in place to speak and listen better to women and underrepresented groups. Understanding and supporting ambitions and allocating time to train staff is a part of the solution. Recent studies show that to retain and attract women, flexible work arrangements are important to enable work hours on a different schedule, plus giving access to training, and offering networking opportunities. Putting in place programs to deal with sexual harassment or other issues that arise is an important element. Apple and some tech companies are already doing this very well, and it is proven to be good for their employees and their business outcomes. Meanwhile companies that don’t, and get caught in the limelight, such as Uber, tend to pay for it with their reputation in addition to changes in leadership. Enterprises can’t shy away from automation and remote control access for processes previously driven by humans. In the era of technological prowess with expansive global reach, what is to come has major implications for labour markets and social dynamics alike. Now more than ever, enterprises need to ensure their business practices are ethical and enhance life. Customers will surely support enterprises that create social good impacts, and avoid those that don’t.